The Europa Online Casino is part of the backbone of the online gambling industry. Though it has taken the impact of the UIGEA full brunt, it continues to be one of the landmark sites as far as online casinos go, most probably due to the accent it places on customer loyalty. At Europa Online Casino, loyal customers are regularly rewarded and care is taken that there is a close relationship developed between the casino and each and every one of its patrons. 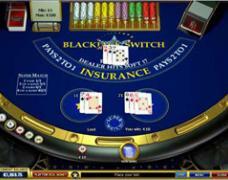 As far as finances go, the Europa Casino is represented by Wisenet Services Ltd, based in Nicosia, Cyprus. All financial transactions will go through this company. Given the quality that Europa Casino coveys through its whole operation, player traffic is excellent, however, as a casino player, that shouldn’t be one of your primary concerns. You’ll be playing against the random number generator provided by the casino software all the time, and so will the other players. The Europa Casino software is produced by Playtech, so I suppose in terms or reliability and performance, that’s your guarantee right there. Graphics are smooth and fully 3D, which makes for an excellent gambling experience, and makes you feel like you’re in the midst of a recently released action game, only you’re not shooting monsters but rather pulling levers and collecting winnings. The client is about 3MB big and – on a reasonable internet connection – takes a few seconds to download. The most interesting thing about Europa is, that it features a no-download flash-based client, which you can use to give all the different games they have, a go. When it comes to diversity, Europa Casino has to be up there with the best of them. There is a wide variety of different games from blackjack to baccarat and pontoon, to bingo, darts and heck knows what else. They have both European and American Roulette, and tens of slots, both single line and multi-line variants. They also feature live games, but you have to be a real money player to access those. For more information, check here Europa Casino payouts monthly game payout certification. FREE CASH BONUS 100% Sign Up Bonus up to $2400 for New Players PLUS $10 Free! The bonus is basically a 100% match on your first deposit up to a whopping $2,400. Now then, it’s not as simple as it may seem. The $2,400 bonus is valid over a period of 2 years, so that means, the casino will match your first deposit every month 100%, up to $100, and they’ll do this every month for 2 years. That’s a total of 24 months, so if you keep coming back and depositing at least $100 each month, by the end of the two year period, you’ll have collected $2,400 in free money. That is one way to reward player loyalty I suppose… Anyway, it doesn’t look like a bad setup. In today’s dog-eat-dog world of online gambling, every self-respecting online casino has to run a set of promotions just to keep players interested. Being the industry leader that it is, EuropaCasino has its own excellent promotions, too. First off, there’s the one I mentioned above linked to the first deposit bonus. Since it’s basically a continuous and ongoing reward-system, it can be considered a promotion, as it is. High-rollers will be treated kindly at Europa: deposit $1,000 and, besides the sign-up bonus you get, you’ll receive $500 instantly credited to your account. You’ll also attain VIP status right away. With all these opportunities, the $25 weekly loyalty bonus is just the icing on the cake, and the comps that can be earned while playing, likewise. Europa Casino features a whole range of deposit options, but obviously, they like to use some more than others. I’m saying that, because if you use certain payment methods, you will get an extra bonus on your deposits up to 15%. That “International no.” raised my curiosity, and starting from it, I discovered that Europa supported no less than 7 languages. You can set it up either in English (default) or in French, German, Italian, Russian, Spanish or Turkish. Since they’re a European themed casino, I suppose they couldn’t afford not to pay attention to all the different languages spoken in Europe. The website is also available in Korean, Serbian, Polish, Swedish and Dutch. As far as unique features go, Europa Casino is an uncontested industry leader, again. I don’t know about you, but I haven’t heard of any bonus system being set up quite the way theirs is, spread out on a 2-year span, to keep players coming back for more. As unique as their bonus system is, it is so well thought-out; it may well be used in the future by other online casinos, too. The other outstanding feature Europa Casino boasts, is their unique selection of a 100+ games, which the player can test without actually having to download the client software, in a neatly put-together flash package. Gain a unique insight into the world of EuropaCasino.com games via this flash interface, and play a wide selection of the games available inside, completely free of charge. Licensed by the Kahnawake gaming commission, the Europa Casino provides a safe and secure gambling environment. Rest assured though, you don’t have to take my word for it, they have a built-in tracking system that they call the “financial history” section, which will keep a record of every bet that you make with the exact time and amount so you can later double check on what happened. The site is adamant at keeping underage gambling at bay, and they possess a series of certifications in this respect. Besides the support means mentioned above, their website also features an exhaustive FAQ section, and you can send them feedback via an online form, any time you wish. As far as depositing and withdrawing money goes, Europa Casino features a wealth of methods. Just check their “cashier” page and you’ll see that the list fills up a whole page and then some. I’ll only mention the most important of them: Visa, MasterCard, Neteller, Click2Pay, FirePay, and for all those eastern European customers: Moneybookers. If you deposit via a certain method (you can see these highlighted in the list they feature on the “cashier” page) you’re eligible for 10-15% additional bonus on your deposit. This is a feature quite unique to Europa, and I don’t really remember seeing this anywhere else. In order to keep the operation smooth and 100% legal, Europa Casino undergoes regular audits by a number of online gambling authorities whose seals the site bears. In this respect, they’re certified by the Kahnawake Gaming Commission, by Technical System Testing (TST), by Responsible Gaming and Euro Partners.